TF: Is Australia still The Lucky Country and if so, why? AS: The simple answer is yes – provided you’re not Indigenous, homeless or an asylum seeker. Among the non-Indigenous population, Australia’s health and wellbeing indicators are up there with the best of them; life expectancy is among the highest in the world. We’ve weathered the GFC better than most – all of which begs the question, why are we so damn mean? Our current treatment of asylum seekers is shameful. Peace and prosperity appear to have made Australians paranoid rather than comfortable, a situation not helped by the absence of visionary political leadership. AS: My grandfather, nicknamed ‘Banjo Savage’, worked as a musician on cruise ships in the 1920s, and taught me to sing what my mother referred to as ‘drunks’ songs’ – ballads about passion, pain and death – when I was still a toddler. Mum attempted to counter these early influences with liturgical music, but somehow Kenny Rogers managed to slip through the cracks, bringing more songs about passion, pain and death. The ideal musical education for an aspiring crime writer, really. Among my most memorable recent reads are two collections of short stories: Sightseeing by Rattawut Lapcharoensap, set in Thailand; and Holiday in Cambodia by Laura Jean McKay, set in Cambodia. Music-wise, I’ve been listening to Bruce Springsteen and the E Street Band live at the Hammersmith Odeon in London, 1975. They sound remarkably like they did in Melbourne in February, 2014. AS: I’ve been meaning to read Vikas Swarup’s Six Suspects, the sequel to his excellent Q&A, which was made into the film Slumdog Millionaire. Timothy Hallinan’s The Queen of Patpong is also towards the top of my TBR [To Be Read] pile. 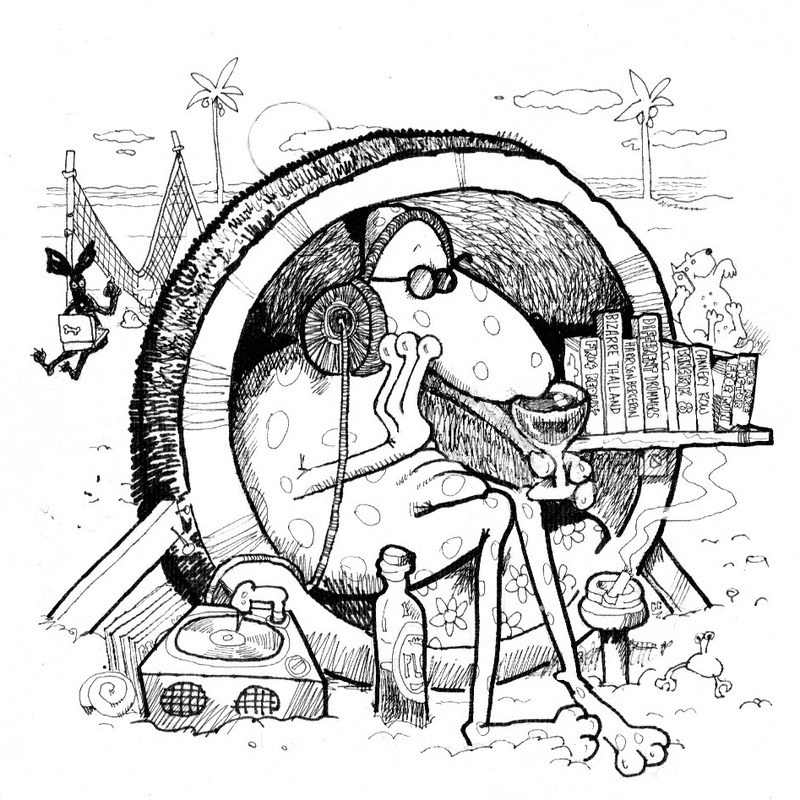 AS: …a convenient place for Kindle users to buy books. I do use a Kindle for travel, but I still read mostly paperbacks. AS: Non-fiction is only ever as strange as the truth, and can only take you places that exist. Fiction is not bound by such limitations. Fiction sets you free. AS: Favourite dead authors: Angela Carter, Raymond Chandler, Oscar Wilde. Favourite authors still living: Barbara Kingsolver, Simone Lazaroo, Honey Brown, Wendy James, Megan Abbott, Garry Disher, David Whish-Wilson and Andrew Nette. TF: How important is setting in a crime novel? 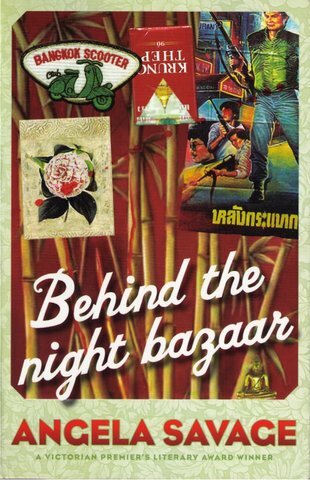 What is it about Thailand in general and Chiang Mai in particular that makes it such a great setting for a crime novel? AS: I think it was the events of 1992 that first fired my imagination about Thailand as a setting for crime fiction. After spending several idyllic days on Koh Samet, my partner and I happened to be in Bangkok in May when the Thai army opened fire on demonstrators at Sanam Luang. The fact that the surface calm and beauty of the country could erupt so suddenly into violence proved irresistible to me as a writer. In addition, the coexistence in Thailand of old and new, tradition and modernity, religion and consumerism, parochialism and globalisation provides so many riches for a fiction writer to mine. Thailand is not merely the backdrop to my crime novels, but a character. the stories I write couldn’t take place anywhere else. I set my second novel The Half-Child in Pattaya, which is not the country’s most attractive location—one character refers to it as ‘Thailand’s own Sodom and Gomorrah’. I balanced this by having a character come from Kanchanaburi, allowing me to take the reader to some Thailand’s ‘wild west’. 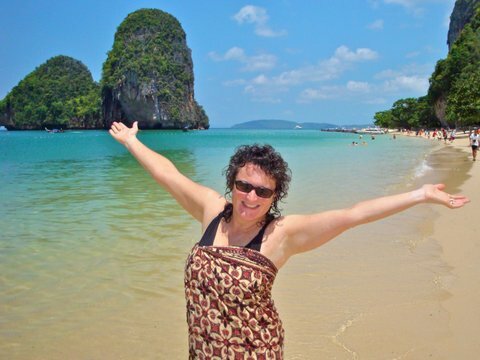 By contrast, my third novel, The Dying Beach, is set in Krabi, a stunning location. I don’t know what it is about crime writers that sees us visit beautiful places and start mentally populating the landscape with dead bodies, but that’s what happened when I visited Krabi on holidays. I guess it’s our way of paying tribute to a place. AS: As someone born in The Year of the Horse, I am looking forward to 2014. AS: I’ve recently enrolled in a PhD in Creative Writing in order to spend the next three years writing full-time. I’m working on a novel set in Australia and Thailand that deals with commercial surrogacy between the two countries. I’m also hoping to finish off the fourth book in the Jayne Keeney PI series, set in Bangkok during the financial crisis of 1997. TF: Thank-you, Angela for being our guest at Thailand Footprint. I hope you get a chance to put your feet on Thailand sand again in the near future. 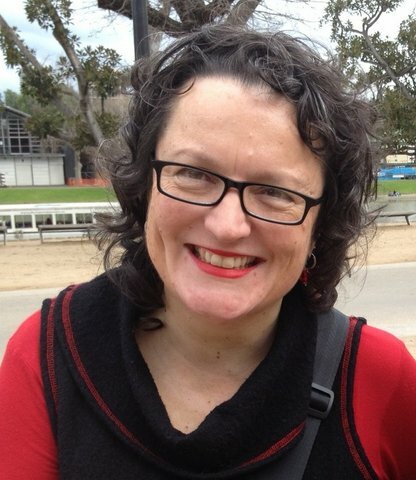 Angela Savage is a Melbourne-based crime writer, who has lived and traveled extensively in Asia. 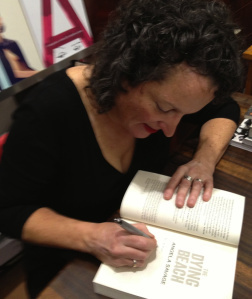 Her first novel, Behind the Night Bazaar won the 2004 Victorian Premier’s Literary Award for an unpublished manuscript and was shortlisted for the Ned Kelly Award for Best First Book. Her second novel, The Half-Child, was shortlisted for Best Crime Fiction. Angela is a winner of the Scarlett Stiletto Award for short crime fiction. 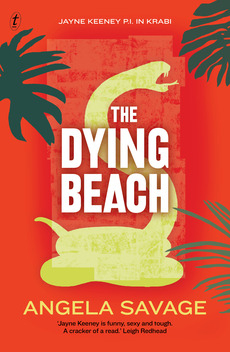 Her latest novel is The Dying Beach.